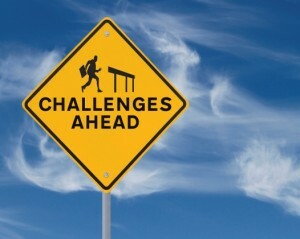 If life could always be easy, would you choose that path over a life with challenges? I am not sure how I would have answered this question when I was younger, but today I would unhesitatingly choose a life with challenges. Older and wiser, I have come to realize how much more satisfying accomplishments are that result from hard work. This has been true in all areas of my life including family, work, love, financial, and fitness. Sunday I was reminded of just how sweet it is to overcome a challenge as I trudged through a difficult run. I was tired, had not hydrated well all weekend, and it was cold with high winds. Rather than running, it would have been more pleasurable to be reading in front of a warm fire in my home with a cup of coffee. Instead, I pushed myself to complete a nine-mile run. There were times during that run requiring me to dig deep to find the resolve, but I did. And, even though I just ran eight the Sunday before, the sense of accomplishment I felt after finishing the run was so much more significant. Having nothing to do with a difference in distance, but rather everything related to how hard I had to work to complete the run. While this story doesn’t have the same level of impact as unexpectedly finding love following heartache, thriving financially after experiencing difficulties, or other more significant life achievements, it felt incredibly rewarding in the moment. I basked in my effort throughout the day, so happy I didn’t give up. Do you feel the same about achievements you worked hard to accomplish? Do they feel more rewarding to you as well? Life can’t be easy. I don’t think we as humans are built for that kind of life. We need something to overcome and accomplish. We even need to work at things. I learned this quote from Shakespeare when I was very young. It’s proven itself true time & time again. Without challenges, easy becomes a challenge to us. This is a great perspective. Thanks for sharing it Vinny. While I love the complete sense of accomplishment that comes from overcoming a challenge, I have to admit to a guilty pleasure. [Maris] and I have been told all our adult lives about how much work a real and worthwhile relationship takes in order to succeed. We feel, just about every day, like cheaters in this regard, because we hardly work at our relationship at ALL. It’s not *zero* work, but it’s so easy it sometimes makes me wonder if we’re doing it wrong. I will say, though, that in other areas this post rings SO true. Landing a job I actually care about, after two YEARS of joblessness, for example. I completely understand what you are saying about it not being a lot of work. We work at some more difficult/complicated aspects, like our unique living situation that will start once our second home is built, but the day-to-day relationship aspect just flows beautifully. I’m really happy you stuck w/ the run and finished it according to your plan. I really look up to you when it comes to our exercise, and you staying strong is inspirational. Life is easy and hard at times. While I enjoy and cherish some of the easy times, I know that very little in this world that’s worth having is easy to get, and setting goals for myself is probably 95% of what makes me tick. I like to set those challenging goals and then try to meet & exceed them. We’ve both had some rough times in the past, and I definitely appreciate the things I have in my life that have come as a result. Thanks for the kind words. I think we inspire and encourage each other in different areas of life. I am happy to be a positive influence in your life–as you are in mine. Agreed–I appreciate what I have now based upon the challenges I faced to get here. Oh, I love that feeling! So true! The things I’m most satisfied with are the things that I’ve had to work hard to achieve. When things came to easily for me, I didn’t appreciate them. It really is more special to have an accomplishment come from an effort.